Chia Morgan, 31, helped launchd several grassroots efforts throughout Flint including an annual dinner that feeds more than 600 people annually. FLINT, MI — Coming from a legacy of community outreach that her parents planted in her as a child, Chia Morgan has since dedicated herself to serve the city of Flint in any way she can. Morgan, 31, who graduated from the University of Michigan-Flint with a bachelor’s degree in Social Work in 2011, later received her master’s degree in Public Administrative from Rackham Graduate School from University of Michigan. In winter of 2012, during the start of her graduate program, she discovered that she was pregnant with her daughter, who has accompanied her to many of her community initiatives. “My time with the community is more limited but ironically my role in the community has expanded since that time,” Morgan says. As a social worker, she’s passionate about working with adults with intellectual disabilities and mental health concerns and working to dispel the stigma attached to it. 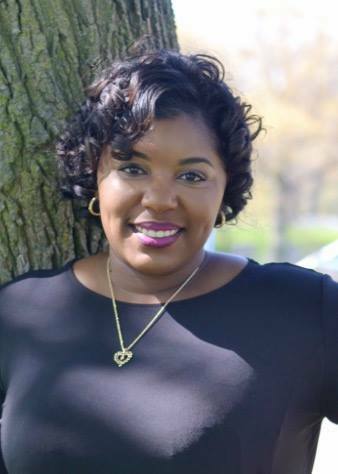 Through her efforts to become a visible mental health advocate in the city of Flint, she has partnered with United Healthcare to have a health fair in May with various seminars. “[My passion is] bringing awareness to mental health because it’s something that is such a stigma in our community that a lot of people don’t want to because of what their family will say,” Morgan said. She remembers her parents buying pizza for the children in the community for movie nights at their home or delivering winter hats and coats to elementary schools. Morgan admits that a life without service to the community is unimaginable. With her family, they created a non-profit organization called Well of Hope in 2005 with community initiatives including “Blessed to Be a Blessing” Thanksgiving dinners that now feeds an estimated 600 people annually, Steps to Healing a Broken Generation summer program and a number community seminars. This year she spearheaded a stand-alone food pantry program called Boxes of Hope throughout Flint and wrote a grant to help purchase security cameras in Flint’s six ward where she lives. Morgan also currently sits on the Priority Children’s Breakfast committee and the Community Foundation Neighborhood Small Grants committee. Extending her assistance to families during the Flint water crisis, last year she took families grocery shopping through Well of Hope to buy food to help fight lead poisoning.